Born in 1961, Juris Bergins is a Latvian ceramic artist currently living with his second wife, Živilė Bardzilauskaitė-Bergins, in Lithuania. Bergins began his career in ceramics by assisting his first wife, ceramic artist Ilona Romule, with her artwork and production. Prior to this, Bergins had studied drawing and painting, design, and teaching secondary-school children. Bergins’ success was aided by his strong, recognizable style and the content of his work. With equally strong forms and graphic sensibilities, Bergins’ work is visually potent, often employing vivid primary colors, strong contrasts, and their juxtaposition with realistic, black and white imagery. The artist’s work is also powered by sociopolitical and historically charged content, the work often mixes obvious historical references with ambiguous cultural and personal references. 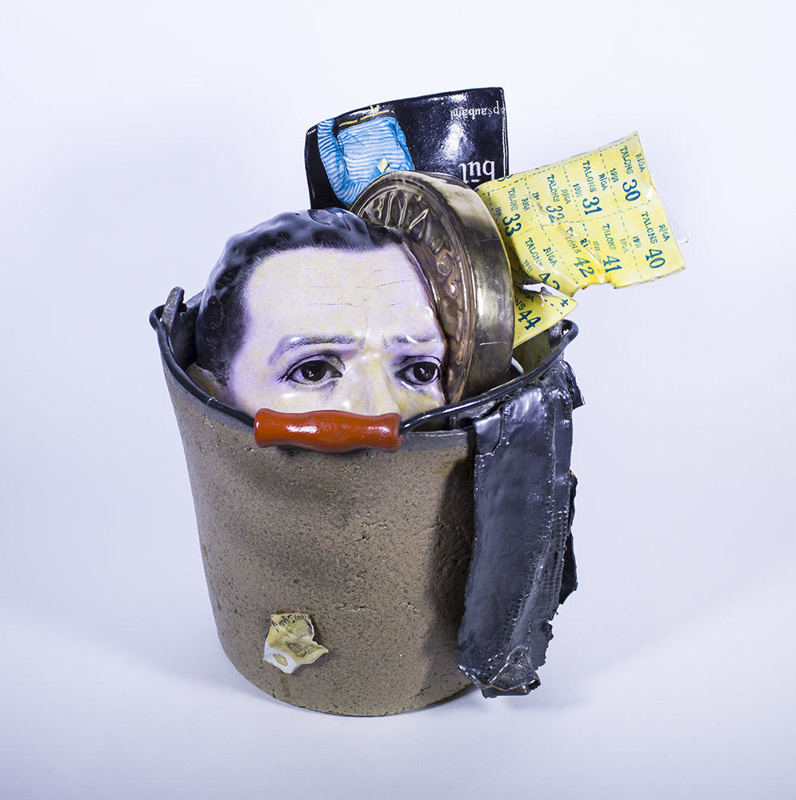 Bergins achieved his aesthetic, with combinations of porcelain, image transfers, glaze, and china paints. Although Bergins’ ascent began in the mid- to late 80s, at which time restraints on the creative environment had weakened, Bergins’ work offers some of the earliest, most explicit sociopolitical commentary. The uniqueness of this artist’s work is undeniable.